Mortice locks have been in use since the mid 18th century as part of the door’s hardware system. So where did it all begin? Historically, the Mortice lock was only ever extensively used in the most lavish rooms of the most expensive houses. This changed in the middle part of the 19th century where their use was more widespread in more modest general housing. They have enjoyed a bit of comeback recently by being used in upmarket residential construction. They are now seen as a bit of a style statement. In simple terms, a Mortice lock is a lock that requires a pocket to be cut into the door in which the lock is to be fitted (This pocket is called a Mortice). Mortice Locks nowadays are not as popular as the Euro Cylinder or Yale Locks. this is because they were traditionally used in older buildings that were built before these locks were available. To find out more about how Mortice locks work, ring Stephen direct on 01709 630027 if you are in the Rotherham area. 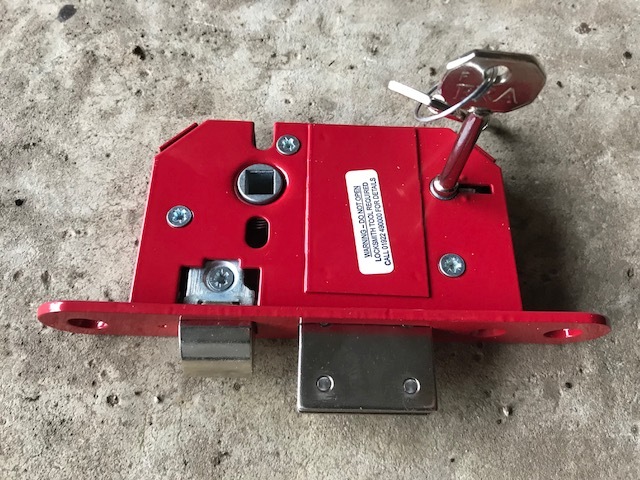 Stay up to date with the latest tips and security advice from Rotherham’s leading professional locksmith and to keep your home and business safe and secure. We are a family business established in 1980, Stephen is DBS checked and a member of the Association of Accredited Locksmiths. We are a local company based in Rotherham. Our customer reviews speak for themselves, we are often chosen by South Yorkshire Police, local schools and Rotherham Metropolitan Borough Council to secure their properties. We were trained by Benny Wells at Safe Ventures, we never stop improving our skills and work with Rotherham home owners and businesses, helping to secure their properties. S Fretwell & Sons of Rotherham, trust the experts.